Event host must provide the water source (i.e. the pool, waterpark, lake, etc.) 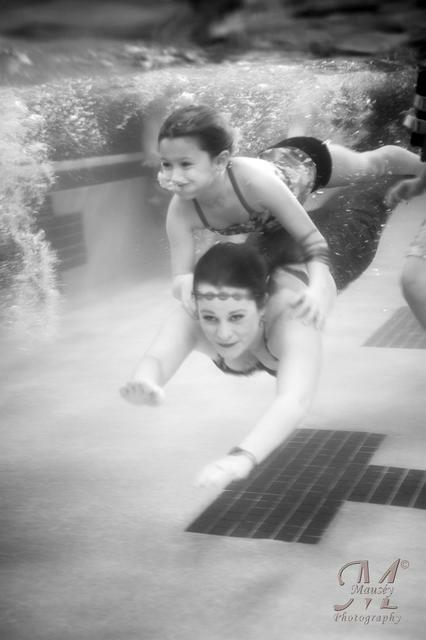 The MerWrangler will carry the MerPerson in and out of your event. The MerWrangler will remain near the MerPerson at all times and will interact with guests in character, pose for photos, and answer questions. A merman who needs to be carried will require a second merwrangler at the additional cost of $50/hour. As time allows, the mermaid/man will swim with guests, answer questions, and pose for pictures. 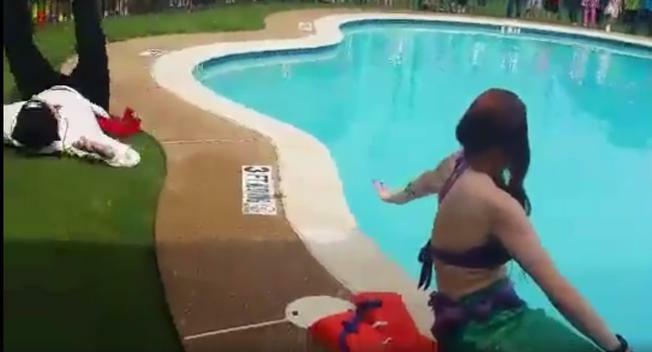 S/he will show off his/her water tricks, teach participants how to swim like a mermaid/man, give mer-rides to children under 80 pounds, and organize water activities such as races, diving for treasure, and improvised obstacle courses. These events are perfect for children and/or adults. All quotes are for a minimum of 2 performers, but you are welcome to add on as many as you like. Discounts apply when booking 3 or more characters! The NeverLand “photo set” is highly portable and includes a giant 3D clam, pearl cushions, treasure chest, fishing nets, NeverLand colored fabric for effect, and other mer-inspired decor to make the perfect photo- accommodating individuals and groups. MerFolk, pirates, and fairies will answer questions and interact with guests, always in character. They tell stories, sing songs, and other age and event apporpriate entertainment in addition to posing for photos. As a reminder- MerFolk CANNOT stand or walk in their tails. A dry event is a stationary event for a mermaid or merman. 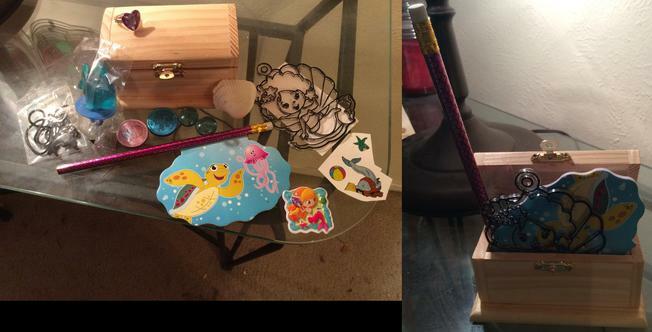 We utilize our sea treasures from our treasure box for a hands-on, interactive learning experience. You have three sizes of tanks to choose from, depending on your event needs and the logistics of the venue. 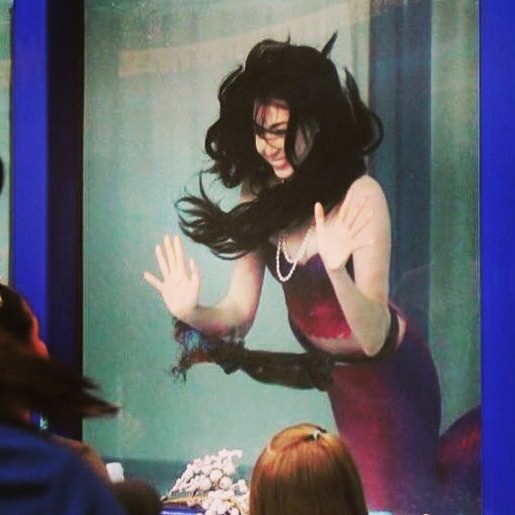 The mermaid/man will appear in the tank for guests to take pictures alongside. The mermaid/man can surface so as to answer questions or pose for photos above the water as well. Guests are NOT allowed to enter or sit on the tank. The MerWrangler is included as well, and he will remain alongside the tank to interact with guests, pose for photos, and answer questions. A lifeguard will be positioned at the tank's entrance for any tank larger than 700 gallons. Host must provide the water so to fill the tank, and the tank must be drained before it can load out. Our professional photographer will capture all the best moments above and below the surface of your event as The MerFriends entertain. Event host will receive high resolution digital copies of all photos with a copyright release form. An edited video of the event, including underwater footage, is available for an additional fee. Video fees are dependent on length of video desired. There is no limit on the number of guests who can be included in your photos and video. Photos will include posed family photos, event decorations, as many guests as we can, and candid photos of your entertainers throughout the event. The photographer arrives 15 minutes before the entertainment and will leave 15 minutes after. The photographer's time can be extended for an additional fee. Our mer-makeup artist will come to your event and give age appropriate MER-MAKEOVERS for up to 10 guests. Mer-makeovers include hair accessories, jewelry, glittery eye makeup, fingernails, and temporary tatoos all styled individually. The finished look is waterproof- ideal BEFORE the swimming mermaid arrives so you are ready for your photo-shoot with her! (Fabric tails not included in mer-makeovers.) Hair accessories and jewelry are borrowed from the mer-makeup artist and will be returned at the end of your event. 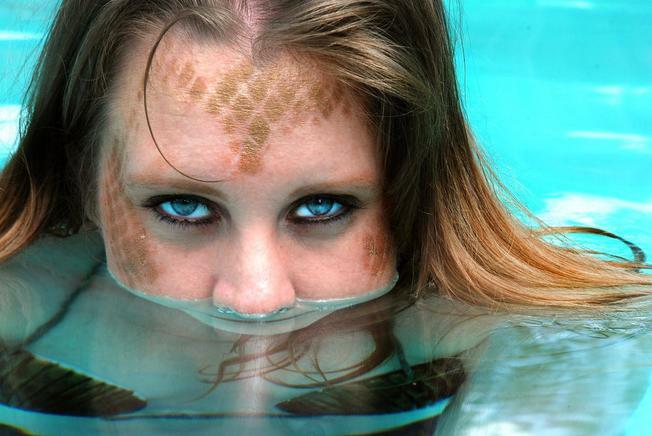 Our MerFolk can also apply the mer-makeovers as part of our dry entertainment if you like! The MerFriends can perform full water ballets, safety day demonstrations, or just about anything you can conceive given enough time to prepare. These shows can be performed with as few as 3 MerFriends or involve the entire troupe. For example, our comedic safety day skits, where pirates fall off their inflatable boat without their lifejackets, are popular with children and adults. We have choreographed several water ballets, too, including Rescued Love which is a romantic story between merman and pirate wench. Fashion's Treasures, was choreographed to open a fashion show with the catwalk over the pool. Siren Maker tells the haunting tale of drowned human love being warped into the sea's most enticing monster. For your feisty adult audience, we also have our Merlesque routines. If you want a show, we can provide one- choreographed with your venue and audience in mind. Safety is our priority and therefore our Safety Day Demonstrations are offered at a deep discount and free for non-profit organizations. and will entertain audiences of all ages. 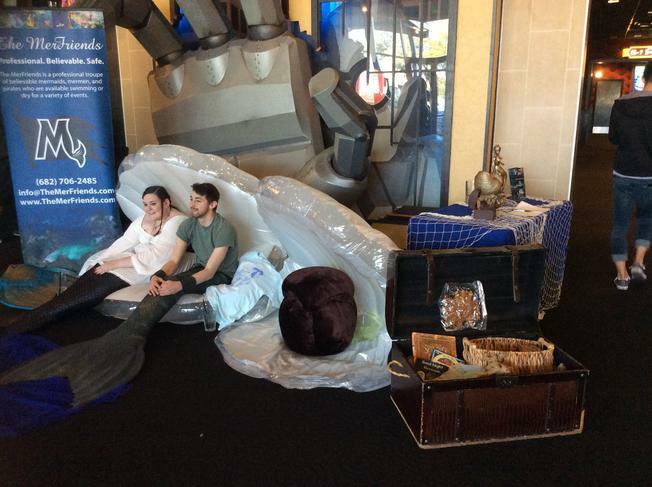 The MerFriends are the perfect addition to any event! To choose your performers, please visit Meet Us. We provide written quotes to our clients on a per-event basis which allows us to create the MERfect event with your budget in mind. Please email us with the details of your event and your desired packages in order to receive a price quote, booking contract, and invoice. An event is considered booked when the booking contract is approved AND the booking fees are received. We welcome phone calls, but all quotes and booking details will be approved in writing via email. This means: WE DO NOT QUOTE PRICING OR PERFORMER AVAILABILITY OVER THE PHONE. WE DO NOT ACCEPT PAYMENT OVER THE PHONE. Thank you for understanding. Travel Fee: The MerFriends travel up to 100 miles and 2 hours from DFW Airport at no charge. After 100 miles, it is $0.70cents/billable mile, and each hour after the first two is $20/performer. Prices are negotiable to an extent. We will match any competitor's written quote, service for service. Have you ever wanted to dress up like a real mermaid or merman- make your own movie or add to your modeling portfolio? We offer that with our Mervolution Package. 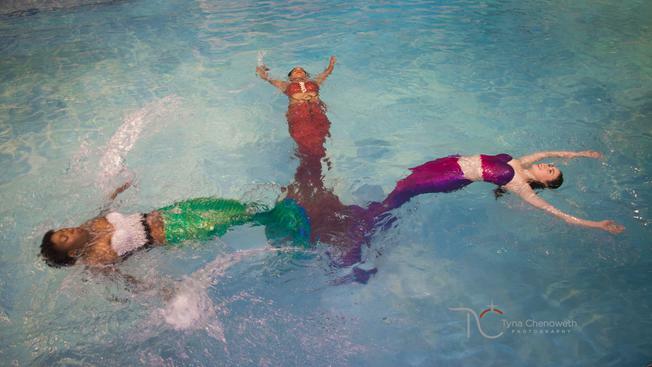 We will work with you to choose your mermaid look including props, backdrops, tail, and tops prior to your session. We will also help you choose the ideal place to shoot including on location or in studio. The day of your session, our professional makeup artist will do a complete makeover onsite (45 minutes-1 hour prep time) which includes hair, makeup, fingernails, and body art. The finished look is waterproof and camera ready. The photographer will shoot for about one hour, grabbing as many poses and shots as possible. 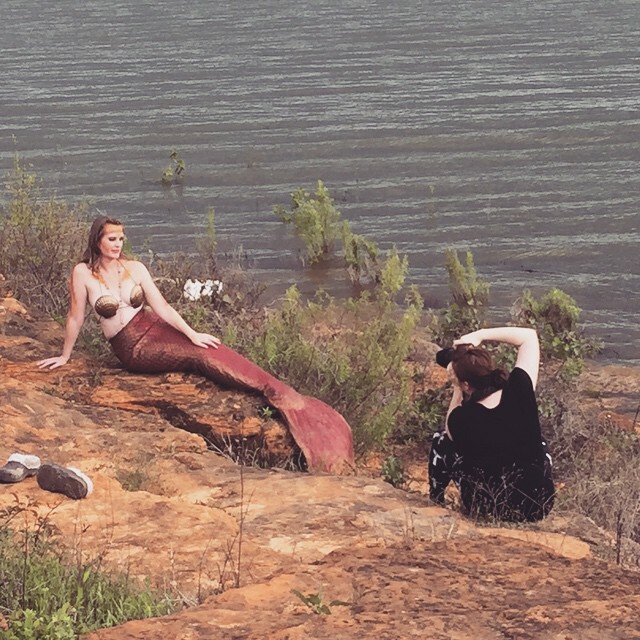 You can view images as you shoot on the monitor to ensure we are creating the mermaid or merman of your dreams. Once you are satisfied with your dry looks, we will move into the water for underwater photos and to capture video of you swimming. If you have a human counterpart (fiance, child, etc) you would like to include in your photos, they are welcome for an additional $50. Limited costume options and a basic makeup/hair consultation are included as available and as time allows. Within 14 days of your session, you will receive digital proofs of every photo taken from which you can choose to have 6 edited and prepared for printing. You will receive a release form so to print and frame at the facility of your choice. A photobook is also an option. We think EVERY pool party or water event should have a certified lifeguard on duty to ensure the safety of all participants. Therefore, we have partnered with LifeguardsDFW to provide certified lifeguards for your event if needed. 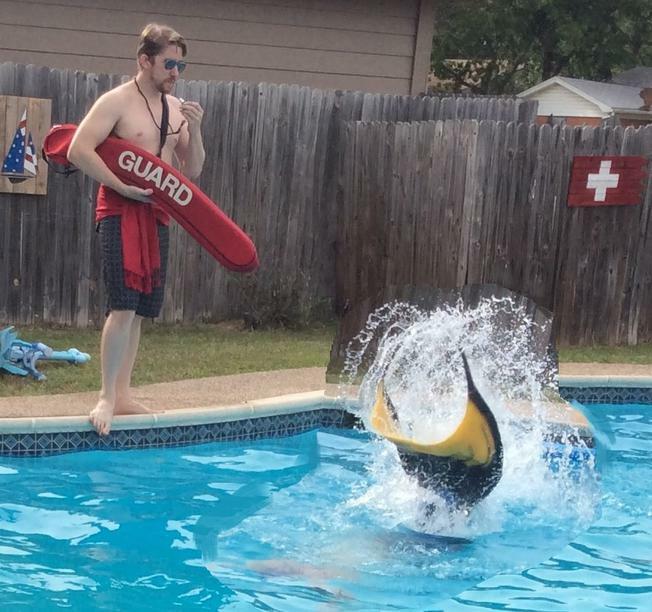 You may also book a lifeguard directly through LifeguardsDFW for your event- booking The MerFriends is not required. One lifeguard for every 20 swimmers (adults and children) is recommended for all swimming events. Lifeguards are certified by the American Red Cross, and they have a minimum of 2 years experience. They will arrive with rescue tube, emergency kit, and in lifeguard attire (suit, shirt, whistle, hat, and sunglasses.) They do NOT entertain or take photos while swimmers are in the water. They are friendly, upbeat, and professional- encouraging everyone to stay safe while having fun. Remember, choose your performers by visiting Meet Us. Then email us with details of your event and chosen packages so to receive a quote and booking contract. We can bring our fabric tails to your event for guests to try on and enjoy. All guests are given a short safety speech, fitted with a fabric tail (they come in children and adult sizes), given a lifejacket, and then the mermaid lessons begin. 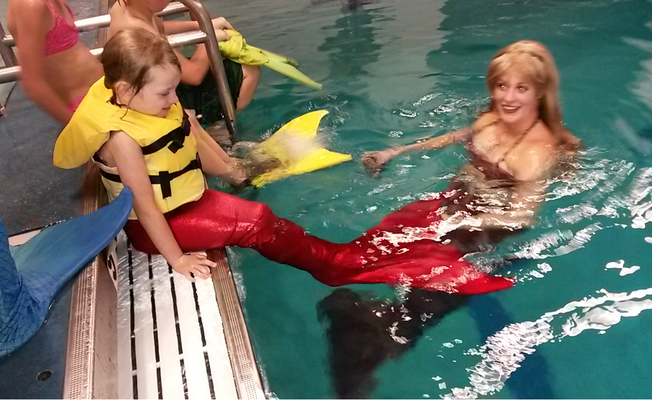 Guests are shown how to swim in a mermaid tail and then individual attention and guidance as they work to master it. Once mastered, the lifejacket can be removed. If renting 5 or more tails, the price drops to $25/tail. You can purchase a fabric tail in just about any size or color of your choice. They come with a monofin and a personalized backpack. The tail is gift wrapped in a bag fit for your event. Upon receipt, a SHORT lesson in safety and maneuvering is given. 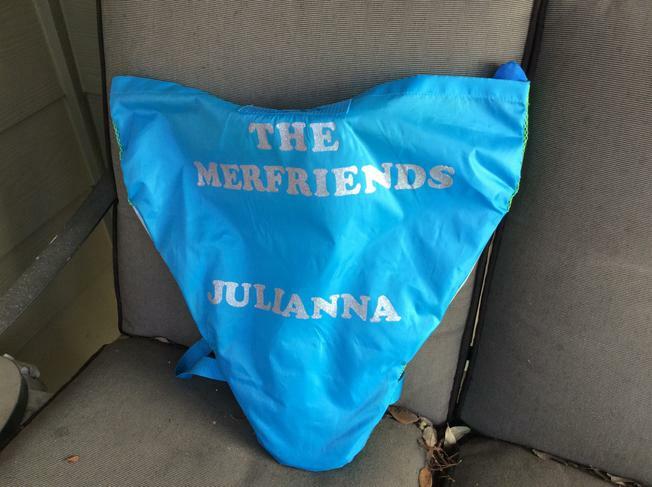 The tail is always presented at the end of The MerFriends' appearance so that well intentioned friends do not damage the tail. The MerFriends will clear a path as a formal procession begins, first with the inflatable clam shell being placed in the water. The recipient will join The MerFriends on the clam shell. After a short, age appropriate ceremony, which includes the Mermaid Oath, the waterproof crown will be formally presented by a kneeling merwrangler. The crown is then placed on the recipient's head in grand ceremony. 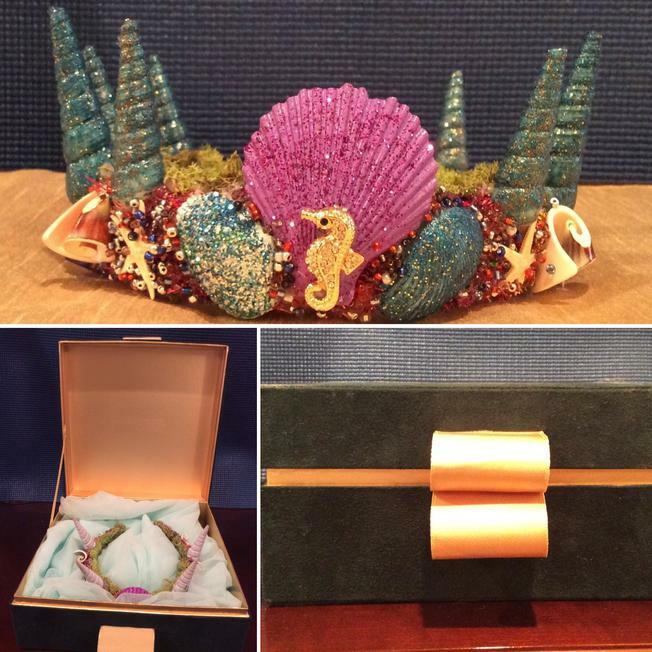 The handmade seashell crown is a gift to keep from your MerFriends. This is a lovely gift for ANYONE, children and adults, male and female custom designed for fit, colors, and seashells. NeverLand Treasure Boxes are available for each guest (5 box minimum). They are age appropriate and filled with delightful treasures you picked out for your guests. Treasures include seashells, fairy dust, pirates coins, temporary tattoos, jewelry, candy, key chains, novelty items, and so forth. The treasure boxes are decorated by hand to match the theme of your event. These photos are options- anything is possible for your event! The honoree will be presented with a custom made seashell 10" free standing figure to commemorate the special day. 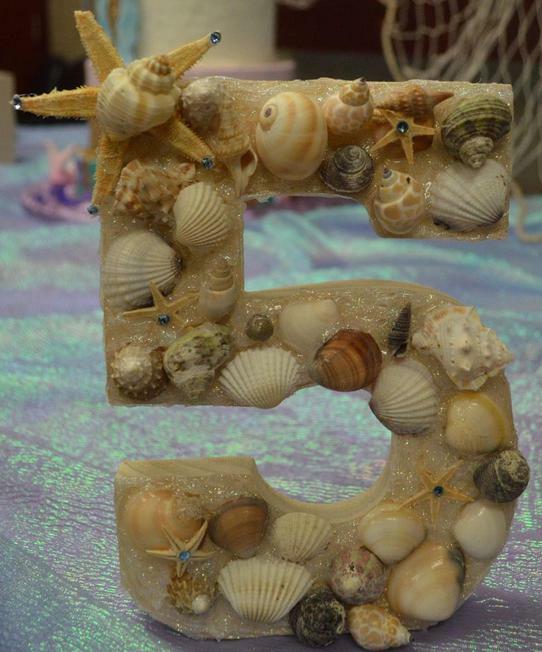 This is a lovely gift for ANYONE, children and adults, male and female with custom designed colors and seashells. Figurines include numbers (perfect for a birthday), letters, flowers, sea creatures, hearts, and so forth. These can be placed on a shelf or hung on a wall. They are very strong and sturdy. We can discuss available options before you book. 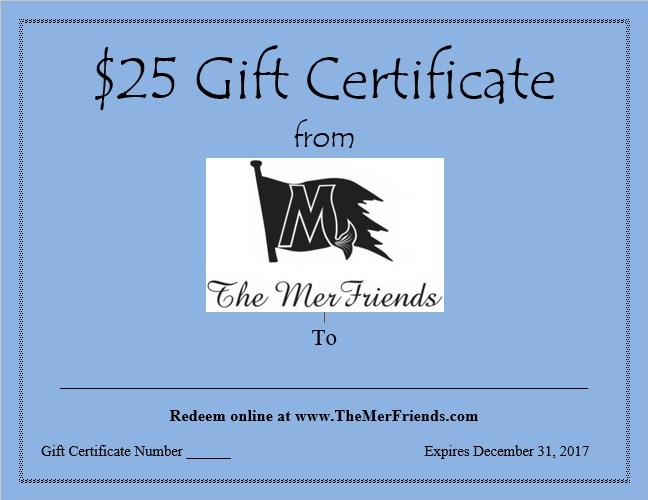 Gift Certificates for future MerFriend appearances as well as to attend The Mercademy and purchase from The Merket are available, beginning at $25. Certificates can be presented in person, in a real seashell, or mailed in a sea themed envelope directly to the recipient. To purchase, please email us the recipient's name, the amount, and how you would like it delivered.